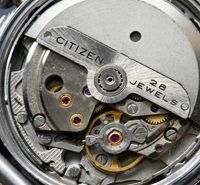 Promethium is a ‘low energy beta emitter with a half-life of 2.6 years’, so it would seem that there is little or no risk from our vintage watch dials these days. Mikko was concerned as to whether radioactive lume was used on Citizen’s vintage divers – this was his main query, given he has got quite a number in his collection. It appears that it was not used on all but the 8200 models, i.e. 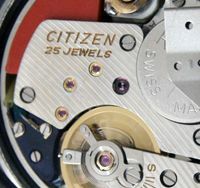 the 51-2273, where the dial is marked ‘P-JAPAN-P’. 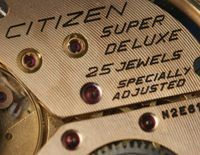 It also seems that Citizen never used the more active radium or tritium lume, only promethium. 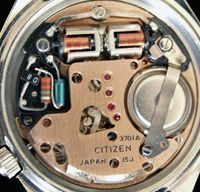 This entry was posted in Vintage Watches and tagged Radioactive Lume on Vintage Citizen Watches, Vintage Citizen Watches. Bookmark the permalink. High jacked post to reach you. I have a minty 67-9313 Speedy that is due for a lube oil and filter….is Brian my man? If so could I have his e-mail. If I had your e-mail I would send you pictures of this great specimen. Got this site link from John Bentley who did my TST project. Hi Bud, thanks for visiting my blog 🙂 I would certainly recommend Brian (he has my 67-9356 at the moment), and I know other people have been very happy too. 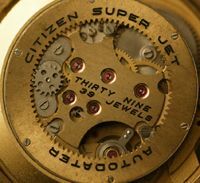 I’ll email you with his contact details, and then you will be able to send me pics of your Speedy! 🙂 John’s TST mod is very nice, are you happy with it?